There is nothing better than to snuggle up to a warm beverage on a cold day. You may have wondered how to make hot chocolate before. I will show you how to make this chocolatey treat. This video is part of my learn to cook series. My learn to cook series is where I cook through my old home economics textbook from Heaton Middle School in Pueblo, Colorado. Long before hot chocolate came in packages people were making recipes for hot chocolate on their stovetop. Homemade hot chocolate tastes so much better than any store bought package. Chances are you already have what you need to make hot chocolate at home. It is very easy to make. Best of all if you are trying to stay away from additives and artificial flavors and preservatives you can make this recipe at home. This recipe is gluten and dye free. For this recipe, you need a few ingredients. You need milk, sugar, milk, water, and a tiny pinch of salt. The salt helps to bring out the excellent chocolate flavor. It takes literally moments to make this recipe. You will mix together the dry ingredients in a saucepan and then pour the cold water into the pan. This quick chocolate sauce will cook together for a few moments, then you will add the milk and you will heat up the milk. It really is that easy. , or even from Costco. Either will work fine. Looking for more great beverages to warm up to when it is cold? 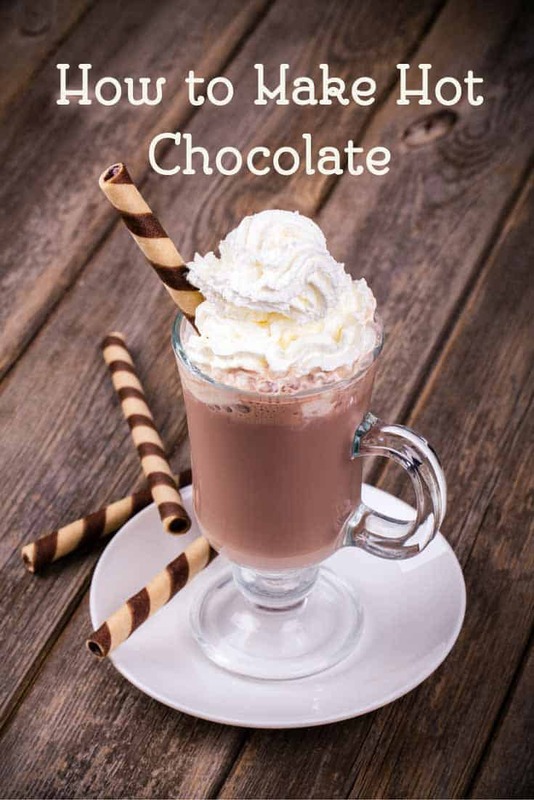 Swiss Mix Cocoa Mix – How to make your own dry mix hot chocolate. I hope you try making homemade hot chocolate soon. You can see it is very easy to make, and it tastes wonderful. 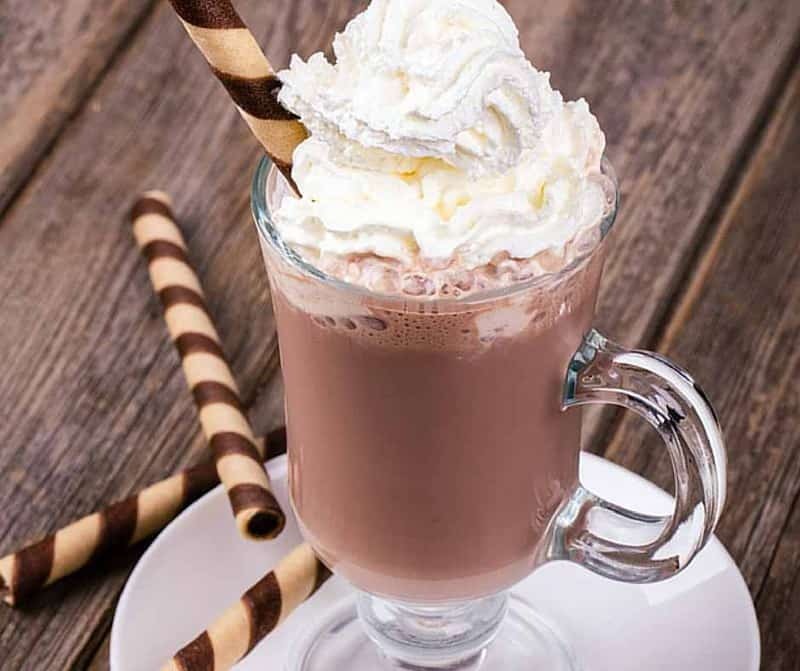 You can top your hot chocolate with whipped cream or even marshmallows. You don't need to buy packages of hot chocolate, you can make it from scratch. Mix together the cocoa, sugar, and salt in a small saucepan. Pour cold water slowly in and stir until well mixed. Place pan over moderate heat and stir until mixture comes to a good boil. Boil for 3 minutes. Add milk and stir well. Heat until the milk steams. When serving you may want to add whipped cream or marshmallows. ice cream is very attractive, I like this ice cream. for the hot chocolate recipe “For this recipe, you need a few ingredients. You need milk, sugar, milk, water, and a tiny pinch of salt”. So, this makes hot chocolate without any actual chocolate?? Obviously a missed word in the description. If you read the actual recipe, cocoa is included. Since it has been discontinued I miss my favorite mix. Bran Muffins with Date Mic was by Jiffy Mix. It made wonderful bran muffins and there were also recipes to use with the mix to make variations. Can anyone provide a “hack” of that Mix?